When you're diving deep and coming up only occasionally for air, you need a pant that stays high and fights off cold and moisture. Spyder's Dare Athletic Insulated Ski Pant is just such a piece. Its removable high-back suspenders prevent snow from working its way up your back and below your belt while keeping your waistline steady. A mesh insert prevents that high back from becoming a hot, sweaty bother. The stretch polyester delivers full 20K waterproof breathability for dry performance that keeps your perspiration moving. A combination of Thinsulate™ insulation and thigh vents ensures that your temperature stays comfortable. AquaGuard® zippers, fully taped seams, and inner snow gaiters complete the seal. The articulated knees let you move exactly how you need to move. "Do you have the Spyder Ski Pants in a LONG size French blue, either medium or large???" "Choose the color first, then your size you are wishing to purchase. If you click on the inseam drop down box it will let you know what inseam options are available at the time of your purchase. Hope this information helps. " "Need the longest length possible for a tall, thin 15 year old boy. He's in between a men's 28 and 30 waist pants. Would that mean a size small in these ski pants? What is the inseam in a size small/long?" 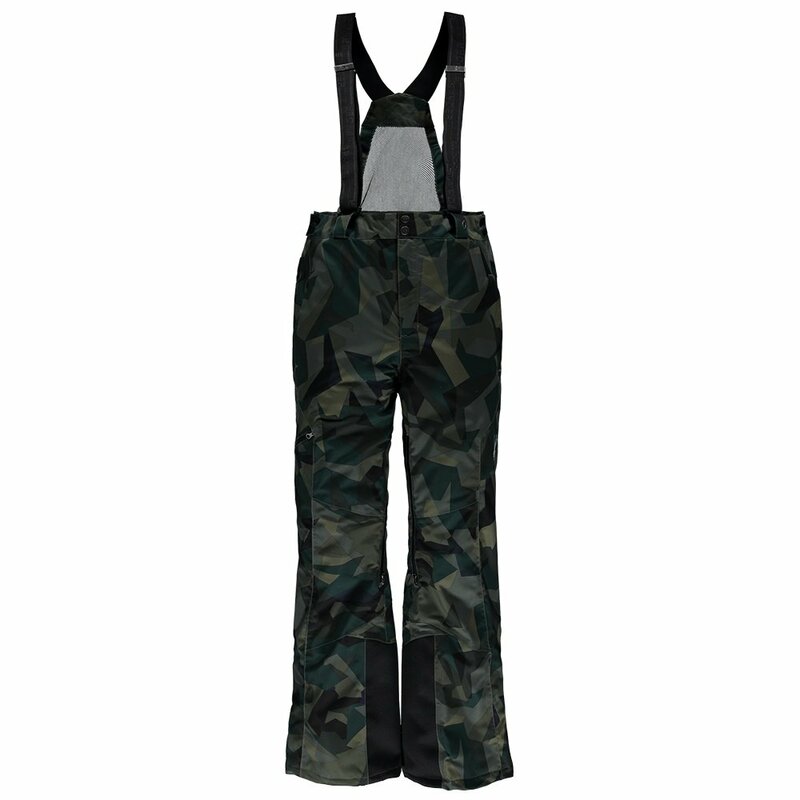 "A size SMALL LONG in the Spyder Dare Athletic Ski Pant has an adjustable waist measurement of 29-31 inches and an inseam of 32 inches. Hope this information helps!" "Is this the newest 2017-2018 season version or 2016-2017 past season edition?" "Thank you for your inquiry. The Spyder Dare Athletic Insulated Ski Pant is from our winter 2017 collection. We hope this information helps." "What would the large waist size equate to in inches?" "A large waist measures 35-37". Hope this information helps. " "I typically wear a 29" to 30" waist and a 30" to 31" inseam in jeans. Small regular?" "Thank you for your inquiry. Based on the information you have provided, We would recommend a size small, regular inseam for the Spyder Dare Athletic Insulated Ski Pant. We hope this information helps!" "I'm size 30 or 31 waist and 30 inseam, what size should i order?" "Thank you for your inquiry. We would recommend a size small for added comfort. The size small will also give you the option to layer underneath. We hope this information helps!" This is how I have always wanted ski pants to fit and look. I already have a pair of the Spyder Dare pants that are several years old , I just couldn't pass up the pricing Peter Glenn had on their sale items so I added another pair. These run a little snug but not a hindrance. I wear a 34 waist jeans in a 31 length and ordered the large with the short inseam.